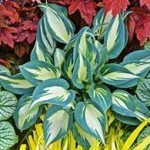 Hostas are one from the most popular and unique of perennials to shady areas, with hundreds of varieties. 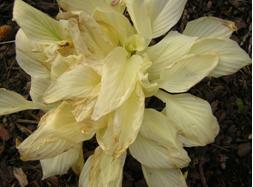 Plants form sturdy mounds of foliage, topped with lily-like blooms. 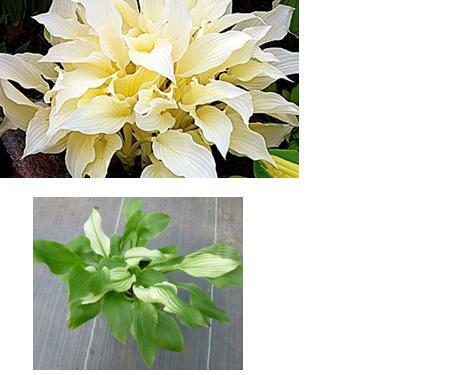 This miniature selection has unusual pointed ivory-cream leaves the plants emerge snow white and keep this gorgeous till spring, As the season progresses they develop green streaks which gives them the chlorophyll to grow on, more green started to creep into the leaves. 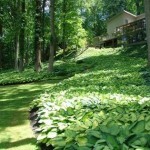 By mid-summer the green had overtaken the white Lavender flowers appear in early summer. 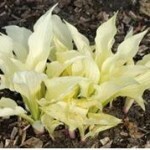 Given you an ideal for decorate shady parts of the rock garden, for edging or in containers. 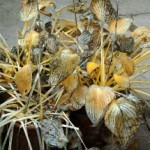 White Feather Hosta came up beautifully, then started to turn brown and withered around the edges of the leaves and appears to be dying. 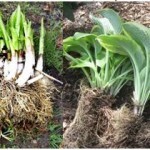 First the edges of each leaf drooped when dig it up the root system looks really good but the leaves are almost destroyed. 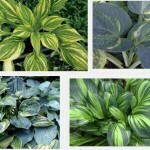 This case might be happen ,in general, variegated plants tend to be less hardy than solid green plants due to there is less leaf area of the chlorophyll with which to capture sunlight. 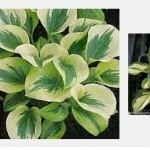 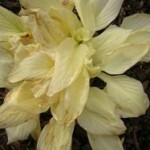 In the case of the White Feather, all of the leaf area is white when it first breaks through the ground – although it does develop green streaks (some leaves may become totally green) –white hosta with thin leave should be control well for the sun light, bright shade, or early morning or evening sun are their best. 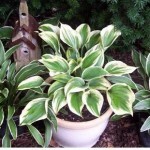 Direct sun exposure is often too intense for the white hostas may cause them to burn or turn brown so you can always move them to another location. 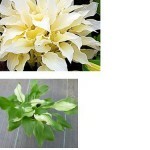 Planting white host in the pot is the best way for control sun light. 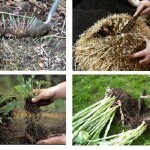 but don’t worry, so long as the root it’s not died it will emerge again next spring. 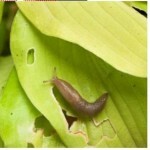 Because of this,. 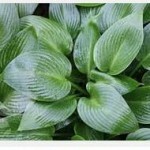 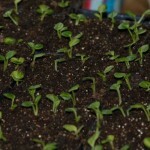 It is best to start this plant in a large pot and keep it evenly moist. 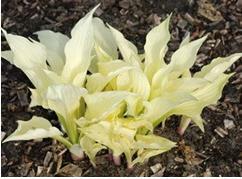 White hostas are seemed magical plants. 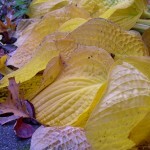 However, it could ever come across one even in the experience garden. 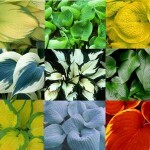 Basic knowledge about chlorophyll (green pigment or molecule that plants use to convert sunlight into energy )plants can only use green pigmentation to create chlorophyll for their growing This means that all pure white hostas(no green pigment) , as beautiful as they are, must either develop green tissue in some day for their survival. 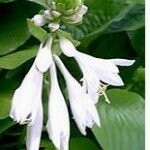 The time that their will show off in white color leave up to the store energy in each plant. 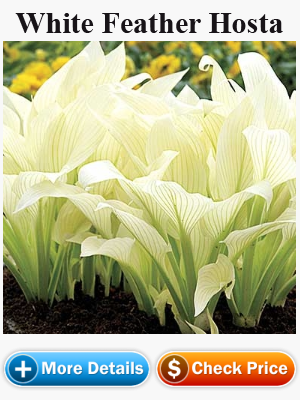 Any way if you want to plant white hosta be known that it will become to change color of leave throughout the growing season afterward. 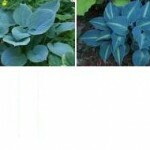 Genetics play the most important role in the color of hostas, Heat and directly sunlight are the external factor that direct effect in the time of change some change very quickly while other change slowly.